The Vespa is a flagship brand in the world of two wheels, manufacturing until today models of classic lines and with a premium proposal. The model called Vespa Elettrica comes to the European and American market in 2019, being manufactured in Pontedera, Italy, from September and already with applications opened in October. 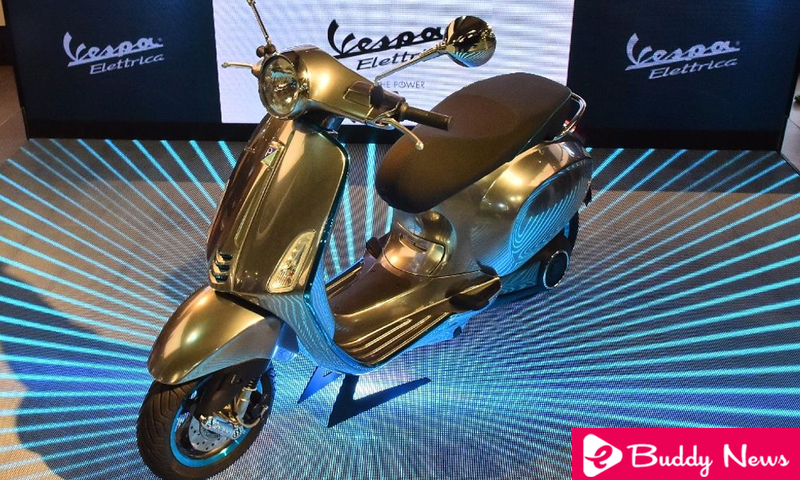 According to Piaggio, the company that controls the Vespa brand, the Elettrica scooter will have a price equivalent to the brand’s luxury models, which means a high value. In the US alone, the electric scooter is expected to arrive at a price above $ 7,000, something above $ 28,000 here, for example. But in addition to 100% electric propulsion, the Elettrica also has a hybrid version that should arrive at a lower price. With classic lines, the Italian motor scooter comes with alloy wheels with blue stripes, alluding to ecology, which is also present at the ends of the fairing, as well as the front bench and air intakes. Its headlight is circular with chrome frame, as well as the levers and mirrors. The headlamp is LED and has a twilight sensor, while the panel has a digital display with a 4.3-inch screen and also allows the smartphone connection, where the pilot can send and receive messages, select songs and receive GPS data for guidance. One can also make and receive audio calls, evidently with a transponder on the helmet. This one, called Jet, also has a Bluetooth connection for telephony and media. With lithium battery, the Vespa Elettrica has autonomy of 100 km, and the complete recharge is made in 4 hours. The model also has Eco and Power modes. As for the Vespa Elettrica with a gasoline engine, the autonomy without CO2 emission drops to 50 km in Extender mode, where the focus is to minimize consumption and reach the maximum in mileage until refueling.